This entry was posted in Brunch, Party Food, Winter and tagged Appetizer, Brunch, dates by eatwithana. Bookmark the permalink. 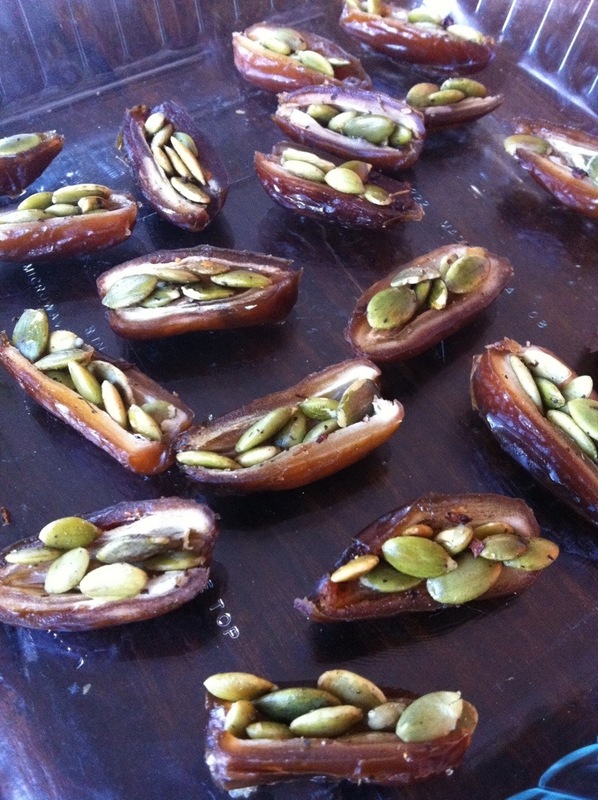 Hey Ana – Love the idea of putting pumpkin seeds and some spice in the dates. How did they turn out? Thank you! They were fantastic, if I do say so myself. I originally changed to pumpkin seeds from my usual almond for a nut- free friend. I won’t go back. The texture and taste of the toasted, spiced seeds was superior.